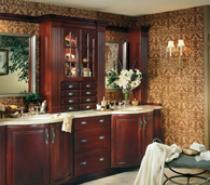 The right corner cabinet will create more storage space and functionality. 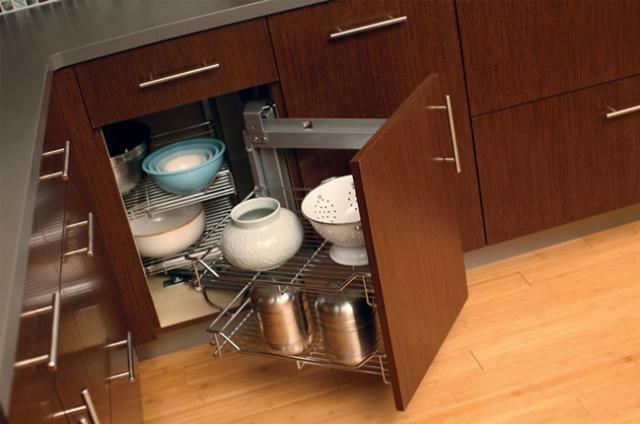 It can be customized with a number options that make it easier to access and use the oft-forgotten space in corner cupboards and cabinets. 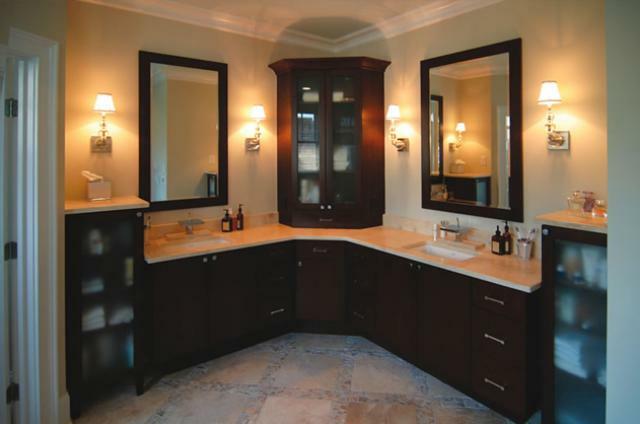 When they meet with you to discuss your custom cabinetry needs, your SD Flooring specialist can review your needs and find the right corner cabinet to meet them among their range of options. 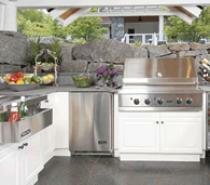 In a San Diego kitchen remodel, every square foot counts. 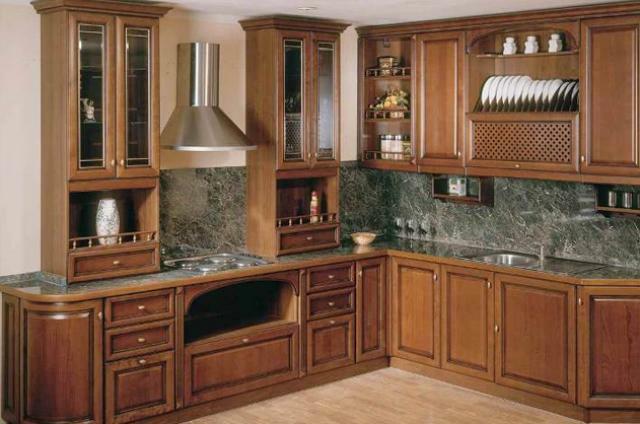 Kitchen corner cabinets offered by SD Flooring will help you make use of all available storage space in your kitchen. 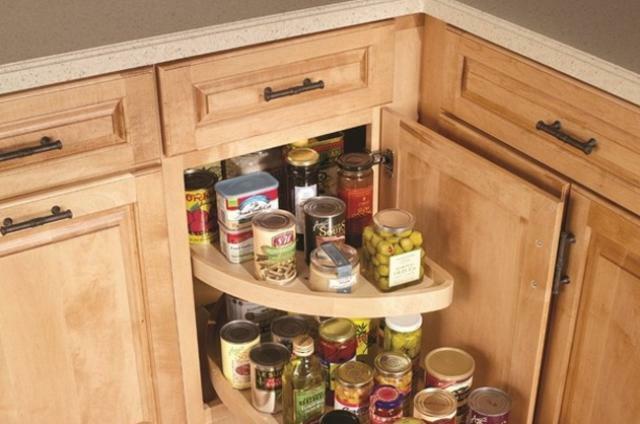 Functional options for corner kitchen cabinets include pull-out shelves, lazy susans, racks and other organizers. 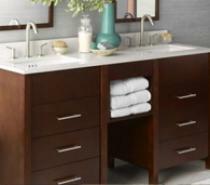 For many homeowners, creating more space for personal care items is a central goal for their bathroom remodel. 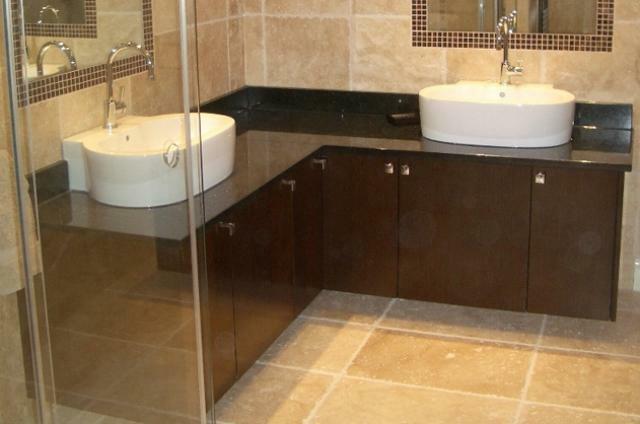 Corner bathroom cabinets are a great way to create both a usable countertop and more storage in any San Diego bathroom, large or small. 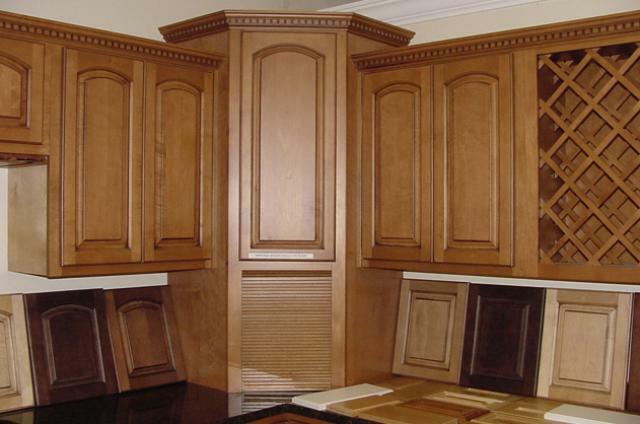 Corner cabinets from SD Flooring also give you the ability to match the style, wood and color of cabinets to other important design elements, such as countertops or hardwood flooring. With SD Flooring, you get a personal touch that won’t come with Home Depot corner cabinets, with one-on-one assistance from a cabinetry specialist to design the perfect layout and look for your remodel.